“It is a huge problem. It is there in almost all the states of the country. It is very worrisome. I hope the Federal government would come out with a policy plan on how to tackle this strongly. I know that they set up a committee of some governors and the Vice President with a view to proffering a solution and we hope that solution comes in as quickly as possible because it is a huge problem that creates not only insecurity but affects also the economy of poor Nigerians, of the less privileged Nigerians because when they move into farms, unfortunately the animals can’t differentiate between grass and crops and you find them destroying peoples cassava, destroying yams and other forms of farm produce”. He listed some of the measures adopted in the state to curb the incidences of clashes in the state. “In Delta State, we have been working hard with the Police. We have also created an office to manage conflict, I have a Special Adviser on Conflict Resolution, I also have two other appointees, who work very closely with me and who are specifically detailed to manage herdsmen/farmers challenge. One of them is a Northerner, the other one is a Deltan who was brought up in the North and speaks Hausa fluently. “And to that extent we have been able to minimize, though we still have occasional clashes. We have also involved the traditional rulers, to try and advise them. We have held two sets of meetings with the traditional institution and the farmers themselves and representatives of Miyetti Allah. We held a meeting early last year and we held one two weeks ago. We have also gone ahead to constitute a committee at the local government level which involves the local government councils, Police at the local government level, traditional rulers, Miyetti Allah and some opinion leaders in every local government area to try to handle such issues. But all these we are doing are mere palliative. “There has to be a direction because people cannot just continue to migrate continuously and probably aimlessly into peoples’ farms because that’s not the original intent. It is different if the cattle were moving and grazing on grass and not on the legitimate efforts and produce of people. But the situation has changed. Obviously that is not acceptable and all over the country there has been a lot of cry”. Okowa once again reiterated his earlier stand that there is no land in Delta State for Cattle Colonies. “Ideally, it is for them to have ranches. There have been cattle ranches in the Mambila area for some time. So why can’t they do ranches. And for those who have plenty of lands and want colonies, we have nothing against it. But for us in Delta State and for most of the South South, I do know, we have limited land for agriculture and therefore it is difficult for us to be able to relinquish such land to cattle colony. “Obviously we have a lot of water and water logged land in our area, most of the available land has been degraded as a result of oil exploration activities and the little that is left is being used for agriculture and we hope that a solution would be found soon”. Answering a question, Okowa said he would want to be remembered for good governance and wealth creation. In his words, “I want to be remembered as somebody who brought good governance to play, somebody who, actually, was able to create wealth or engage our youths to learn to create wealth for themselves and to have confidence in themselves. That is why, beyond the issue of the job creation that we are doing, we are laying emphasis on technical education and entrepreneurship. Those are the type of things I want to be remembered for not just because I am a medical doctor but because we believe that once the family is strengthened, then you have strengthen the state and brought peace to the entirety of the state. “And that actually is very key for me. But in the medical area, I want to be remembered for being able to establish the Health Insurance Policy that works for Deltans because it has the capacity of turning the family economy around and improving the health of Deltans. It is something we must design in Nigeria as a whole but I want to use Delta State as an example. I was involved in it in the Seventh Senate, so I want to ensure it works in Delta State. “We have started off with legislation on the Delta State Contributory Scheme Commission Agency. It is my believe that if we stay consistent in the next four or five years, Delta State will be a place to walk up to and understudy things concerning Health Insurance Scheme and that is very important for our people”, he said. 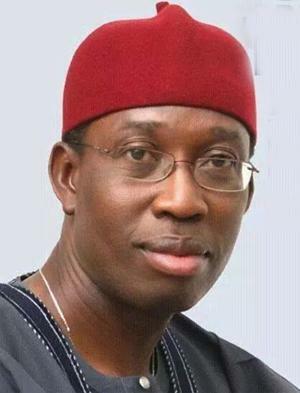 The post Okowa Tasks FG On Speedy Solution To Herdsmen/Farmers Clashes appeared first on Vanguard News.